​At the time the descendants of the ancient Scoboryo family had arrived in the town of St Columb Major in Cornwall the people of this most westerly county were still pursuing their ancient way of life, they spoke their own distinctive language, celebrated their festivals and listened to the stories of Cornish giants and piskies. This, of course, meant that they were relatively unaffected by changes made north of the Tamar, not only were they too distant for anything to make an immediate difference, they were stubbornly set in their ways. ​Decent roads were few in number so the majority of the populace rarely travelled away from their place of birth, and what roads there were were narrow and twisting and were sunk between steep hedged banks. 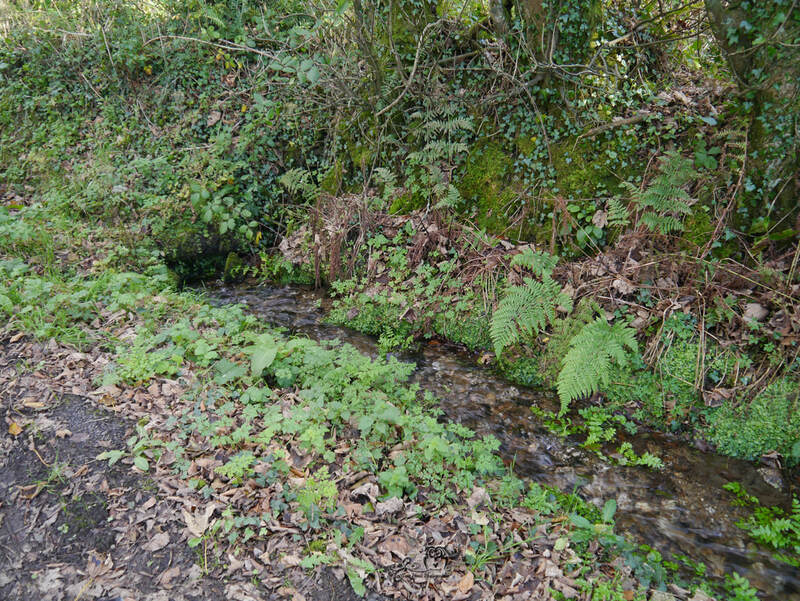 On these roadways, goods were carried by packhorse and this form of transportation continued well into the 18th century even though the old, well-travelled routes from Truro to Launceston, Camelford and Lostwithiel had improved beyond all recognition. Eventually improvements would enable the new eight horsed stagecoaches to could carry the Cornish gentry out of Cornwall to London in less than three weeks and Cornwall would see toll houses and taverns springing up along these routes. ​Today, of course, we have our motorways, which means you can get to Cornwall from the Midlands in about five hours. After travelling another hour once you have arrived in Cornwall you might take the romantically named Atlantic Highway. 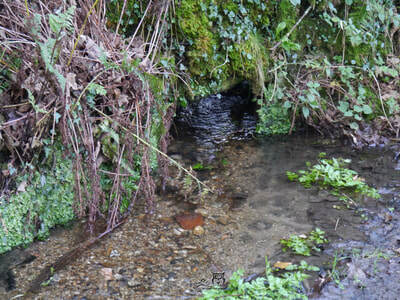 South of St Columb Major at Bridge over the River Menalhyl. ​The Atlantic Highway begins in Somerset and as you travel south you pass Clovelly, with its steep streets descending into the sea, Tintagel, with its connection with the legend of King Arthur and Padstow famous for it Obby Oss eventually though you will see nestling among trees Cornish slate rooftops and the 14th century church bell tower of the aforementioned village of St Columb Major. ​The town of St Columb Major stands high above the beautiful Vale of Lanhurne and from its highest point you can see Castle an Dinas, an Iron Age fort with its three-ringed ramparts and ditches that legend has it was once was the seat of the Duke of Cornwall and where Cador, the husband of King Arthur’s mother met his death. Also from Castle an Dinas, you can, on a good day, see the Atlantic Ocean. 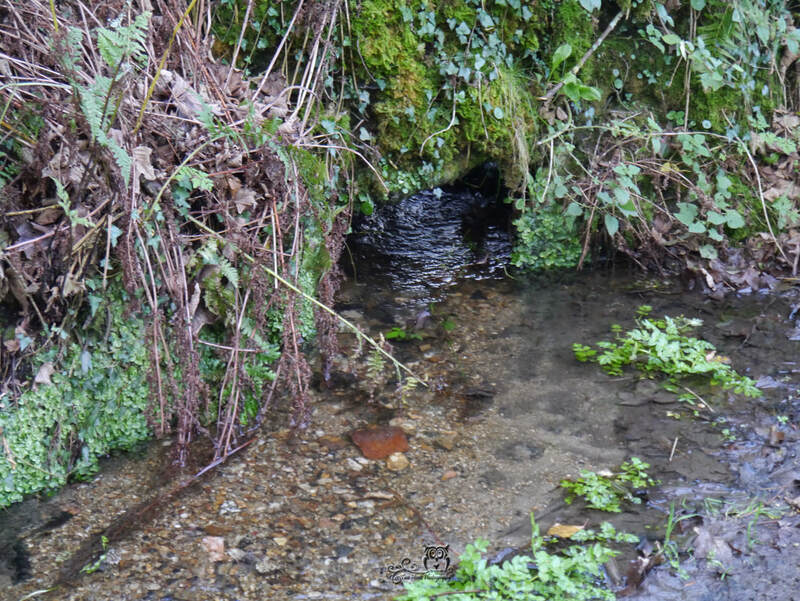 Cornwall, it has been said, has more in common with those people inhabiting the land across the Atlantic that it does those over the River Tamar, archaeology and the religion of ancient Cornwall goes some way to justify that claim. The Celtic religion of Brittany had found its way to Cornwall and quickly spread across the county, and had some influence on the county’s megalithic traditions. There are ten megalithic structures in the whole of Brittany and there are two at St Columb Major alone, the Nine Maidens and the Devil’s Quoit. 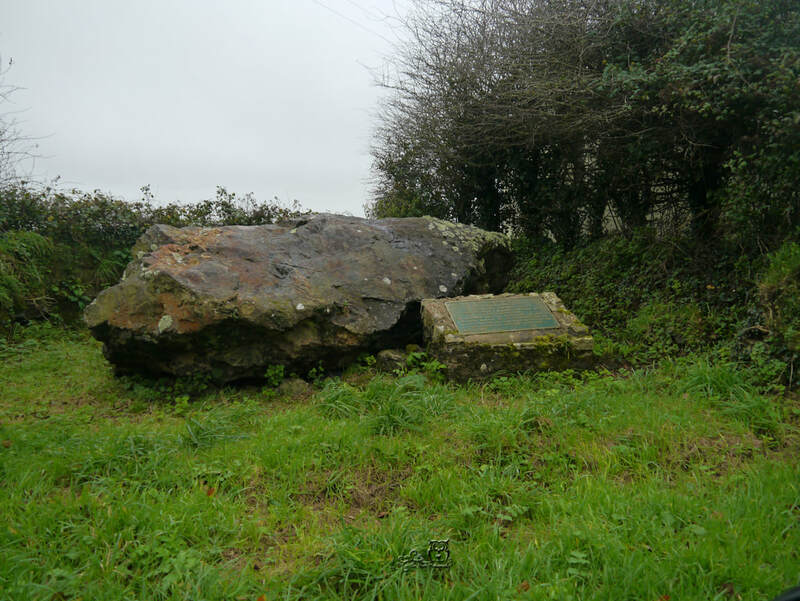 Another, King Arthur’s Stone, that is now long gone, was a large stone with four impressed horseshoe marks that traditionally are said to have been made by Arthur’s horse as the king returned to Castle an Dinas after hunting on the moors. It was the 6th century that saw the arrival of the Cornish saints. Saint Columba, one of the most famous of Cornish saints gives her name to the villages of St Columb Major and her neighbouring village of St Columb Minor. Saint Columba was pursued across the sea from her native Ireland and landing on Cornwall’s shores, she was beheaded at Ruthvoes by the man who pursued her, her blood is said to have run into nearby streams through Railton and Treloy, the areas of land that lie between St Columb Major and Minor. It seems that the Cornish saying “There are more saints in Cornwall than there are in heaven” may well be based on fact. Four centuries after poor Saint Columba's fateful landing the Normans arrived at Hastings. Within twenty years they were compiling their famous Domesday Book, in this most famous work St Columb Major is listed as being part of Lanhurne held by Fulcard from Cornish born Leofric, the Bishop of Exeter, and subsumed under the district of Tollskiddy (now Talskiddy.) The first documentary record of St Columb Major can be found in an inquisition dated to 1294 made in reference to Cornish benefices. By the 13th century, St Columb Major was still part of the Manor of Lanhurne which covered 13,000 acres and held by the family of Arundell whose origins can be traced to a tiny manor three miles from St Columb Major. To the south of the village, there was once a rectory dated to c 1309, today all that remain are traces of the moat which enclosed 40 m square area. The original rectory was probably built by Ralph Arundell, rector from 1303 to 1329, a kinsman of John Arundell who in 1427 had established a college on his lands and just six years later he gave £20 towards church bells and the construction of the town’s church clock tower that today can be seen straddling the pathway that leads to his college. Within a generation, the town had become part of the Arundell estate. By the 15th century, at the head of the family, was the aforementioned John Arundell. 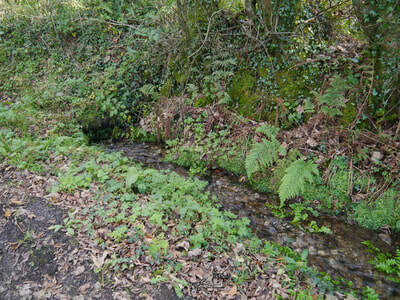 ​Under the control of the Arundell's, St Columb Major flourished and became an important and considerable market town. ​To leave St Columb Major’s story here would be doing the family of Arundell an injustice, for the history of this town is forever entwined in the history of this family. 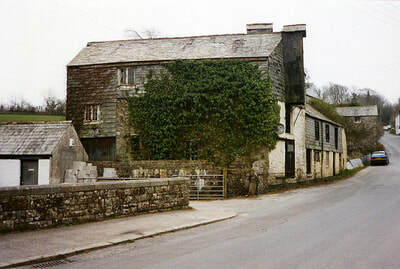 The Great Arundell’s, as they are now known, administered their estate from their ancestral home in a neighbouring village of St Mawgan. They were important and influential - a number of them prayed in their private chapel and are buried inside the town’s church, however, the origins of this ancient Cornish family are obscure. It is thought that they may have links with the early family of Arundell, but are not related to the Fitzalan family who held Arundel Castle in West Sussex, although proof of this has yet to be uncovered either way, intriguingly though both families insignia are the same, however it may well be that they derive from the county of Devon. From their aforementioned beginning to the end of the 16th century their holdings not only encompassed St Columb Major they had vast swathes of land Devon. The growth of the town owes its success to another John Arundel, who was either the above John Arundell’s grandfather or great grandfather who aided Edward III in his cause by supplying troops to conquer Scotland. For this service he was rewarded with the granting of a charter which gave St Columb Major the right to hold a market every Thursday, also granted was the right to hold an annual fair on the ‘day and the morrow of the Feast of St Columba the Virgin.' This charter was issued from Berwick upon Tweed by Edward III and signed John of Eltham, Earl of Cornwall, Edward III younger brother. Under later Arundell’s the inhabitance of St Columb Major were well looked after, no longer had they to attend the weekly manorial court or transport their corn to Lanhurne Mill, for their generous lords built a new mill in the town for the use of their tenants. 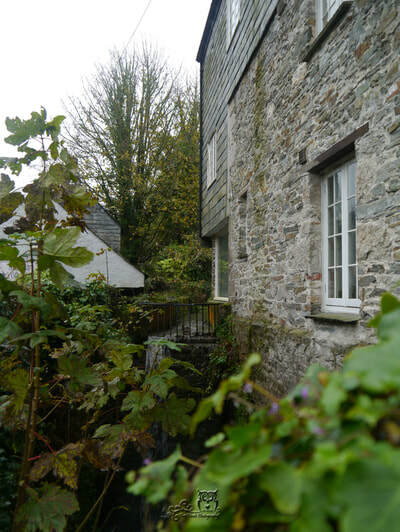 Known as Manor Mill it stood on the banks of the River Menalhyl and can still be seen today. ​The Great Arundells, apart from being a powerful and noteworthy family were religious benefactors and as we have just seen were an admirable philanthropic family. However, as many a medieval family found, success is often followed by failure. By the 15th/16th century as a family they were to suffer a decline in influence, but not in wealth, this was due to their adherence to the Roman Catholic faith. By the mid 17th century the family had split in two, the Lanhurne branch continued to be influential in Cornwall and had married into other wealthy Cornish families, however an offshoot had established itself at Wardour in Wiltshire. The Wardour branch had married into the Howard, Willoughby and Wriothelsey families - all prominent in the Tudor and Elizabethian court. Both branches played their part in the events that shaped England - the Lanhurne branch were participants in a rebellion against Henry VII in 1497 and Cornish Prayer Book Rebellion in 1549. The Wardour branch played their part the infamous Somerset/Northumberland feud and the Gunpowder Plot. Thomas Arudell of Wardour was suspected of complicity in the Gunpowder Plot. By the mid 17th century when my Scoboryo family arrived in St Columb Major yet another John Arundell was Lord of the Manor, he had married Elizabeth Brock, but both were dead by 1656. Although not directly related to the Arundells, my ancestors links to the town are with two other wealthy families, the Bonythons and the Vivians. Both were contemporaries of the Arundell's and just like my ancient family prayed, were baptized and married in St Columb Major's church, and whose mortal remains lie peacefully together in the churchyard. The Scoboryo family story, in regard to the survival of a family and in particular its surname, is a sad one, begins with a marriage in 1641.